Today was a cold and rainy day so I wasn’t able to take pictures outside. Since it was a chilly day I decided to break out my blanket scarf! If you don’t own a blanket scarf I definitely suggest getting one. They are so great at keeping you warm while still looking cute! I also wore my new Tory Burch earrings and I love them! My LL Bean boots were great at keeping my feet warm and dry on this drizzly day. Lately, I’m all about leggings with dresses and tunics. Today was no exception. I ended up wearing a red sweater dress with leggings. I decided to add my favorite black herringbone vest so that my outfit wouldn’t be too plain. I think it added the perfect touch! 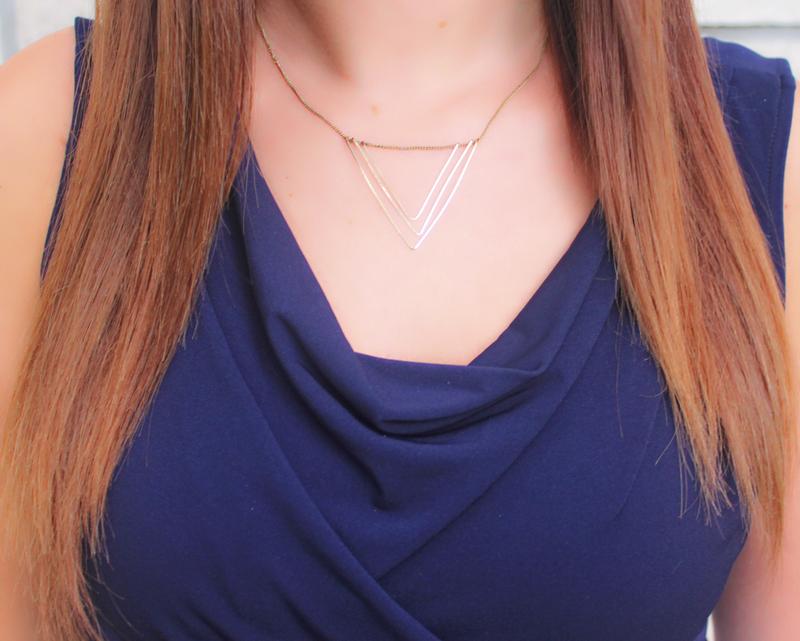 I finished off my look with boots and a monogram necklace. 1) I love the colors of this outfit! I wouldn’t have thought to pair these colors together, but they look so good together. I also really love this skirt and hope I can find one in this color to buy 2) I’ve been on the fence with bean boots and whether or not I truly need them. Well after seeing them all over and how people style them, I’ve officially decided that yes I do need them and have put them on my Christmas list! 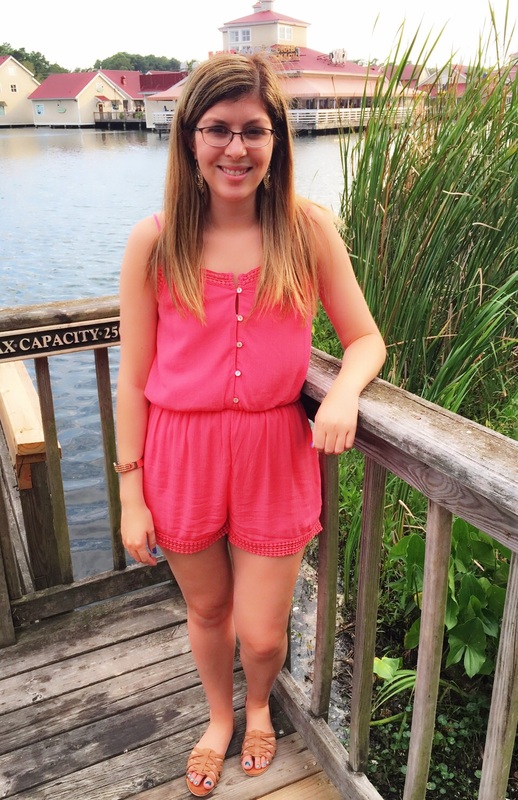 3) This outfit is very simple, yet put together. 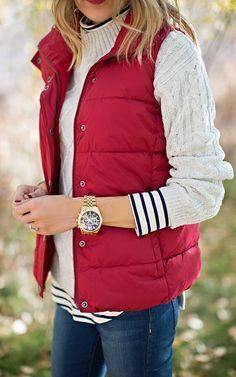 I really love the color of this puffer vest as well! 1) I love this fall outfit! The colors are so cute and I love the layering! 2) All these bracelets look so nice together. I especially love the monogram one. I have a couple of monogram necklaces but I don’t have a bracelet yet and would love to get one! 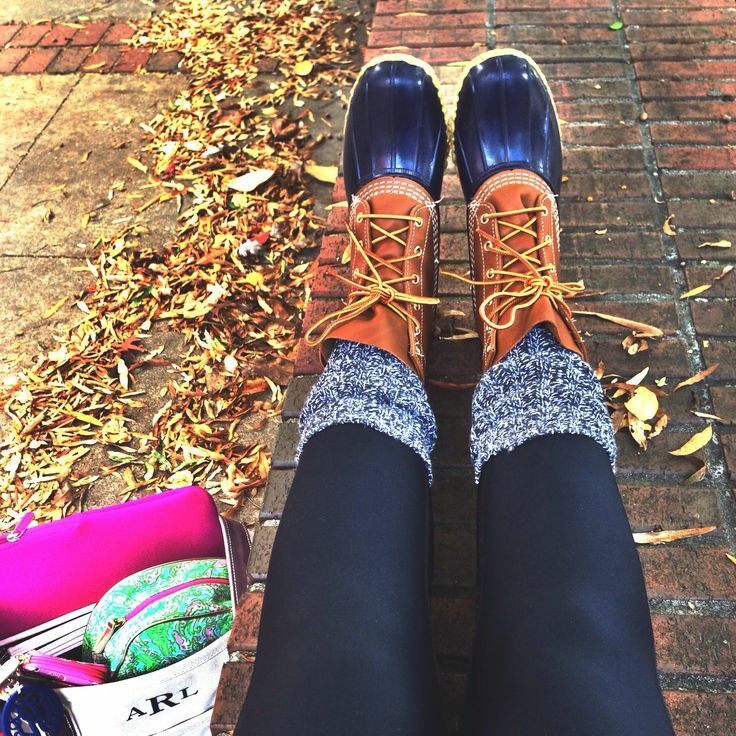 3) I have black Hunter boots and and they are so great! I wanted black for my first pair because they would go with everyone but I am tempted to get another color. In true sister form, we wore the same shirt today without realizing it until we were talking on the phone about our outfits! 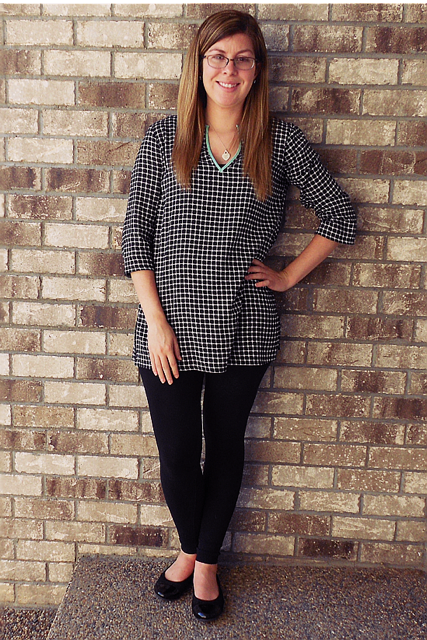 In this week’s What We Wore Wednesday post, you’ll get to see two different ways for styling this shirt. Enjoy! It was finally a cooler day today! To celebrate I broke out one of my new J. Crew Factory button up tops that I have been waiting to wear. 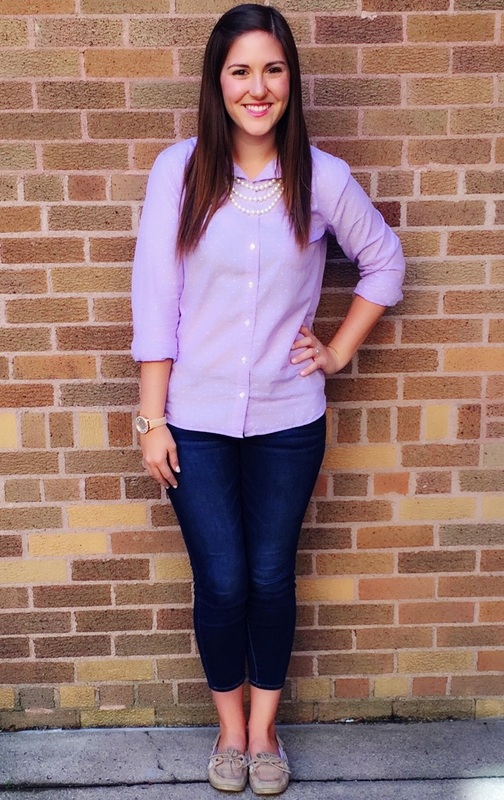 Since it was still a little warm I decided to pair it was cropped jeggings and Sperrys. 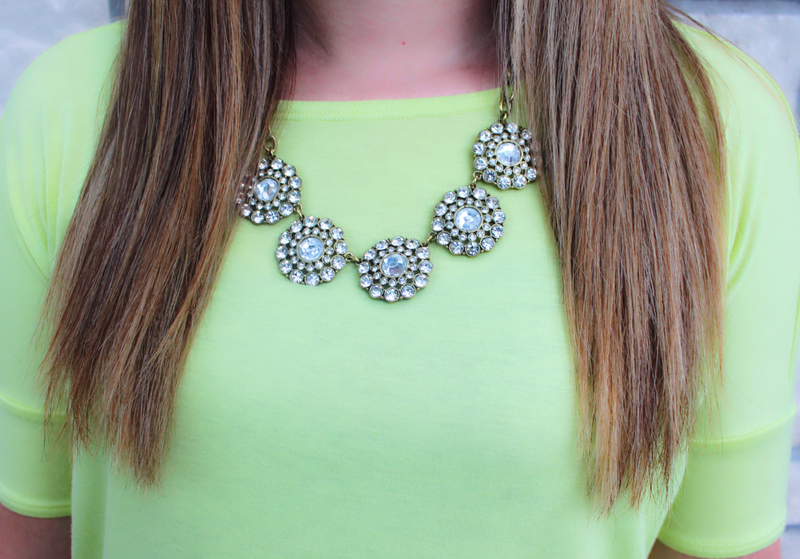 To embrace the preppy look of this outfit I decided to wear one of my pear necklaces which I felt help complete the look. I can’t wait until it gets even cooler and I can start layering! Today it finally felt like a true fall day here! This September has been quite warm, so I’ve hardly been able to wear any fall clothes. I took this opportunity to wear my new grey herringbone vest from J.Crew Factory that I’ve been wanting to wear! 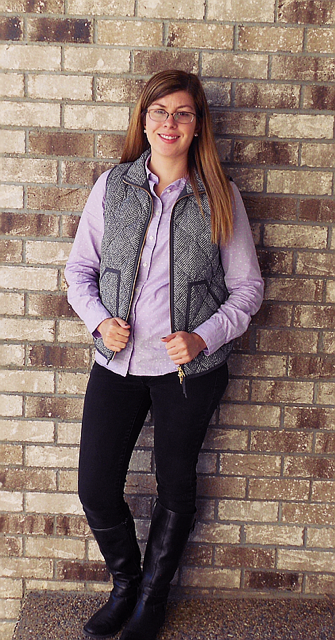 I chose to style it with this pretty purple shirt, black jeggings, and riding boots. I love how this look turned out and can’t wait to style this vest with different outfits more in the coming months! As I’m working on this post I realize now that I wore a striped dress two What We Wore Wednesdays in a row. I guess I really like stripes! I love this dress because it’s great to wear for basically anything! I decided on a dress since I had class and meetings right after, plus it was another hot day. Even though I love summer clothes I can’t wait for it to cool down for so I can wear fall clothes! If you watched my Myrtle Beach haul this summer, then you know I got this tunic while I was there. I’ve been wanting to wear this tunic ever since, but never had a good opportunity. 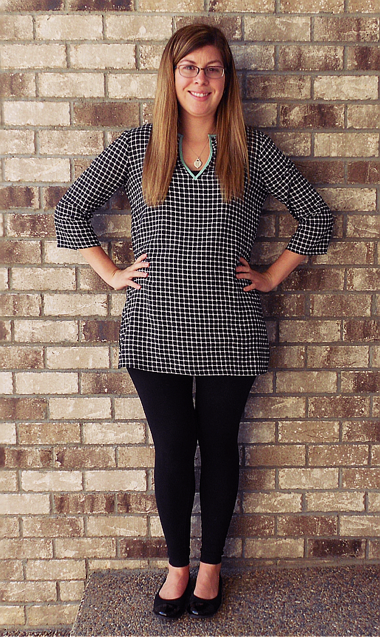 I figured this tunic with leggings would be a great outfit for work. Today wasn’t suppose to get as warm as it did, but being inside all day I luckily stayed cool. 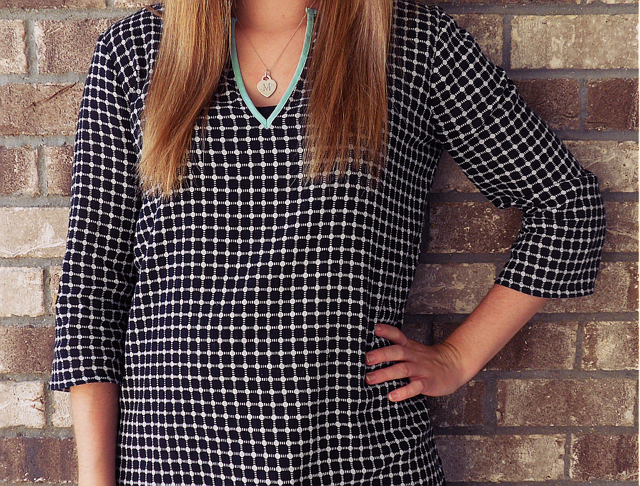 This tunic is so light-weight and comfortable. I highly recommend you keep your eyes out for this tunic. I have it in two patterns and love them both! We are currently on vacation in Myrte Beach, South Carolina with our family. We spent the day getting some supplies for our trip, along with some shopping. We ended up accidently matching today and wearing very similar colored rompers! Since today was a pretty laid back day, we figured our rompers were casual and comfy, yet still made us look put together. Make sure you follow us on Instagram @2classysisters if you don’t already. We’ll be posting pictures froom our vacation on there! I really like this work outfit! I love the two shades of blue together and the lace of the skirt. I also like how it’s simple and classy this outfit is. I have been wanting to wear this outfit for awhile now and I’m glad I finally did today!! Today I got my hair colored, which I was very excited about since It was a little overdue. I was sick of the ombre look and decided to lighten it up. I love how it turned out! Originally I was going to wear a dress today, but unfortunately the weather didn’t corporate and it was a rainy, gloomy day. 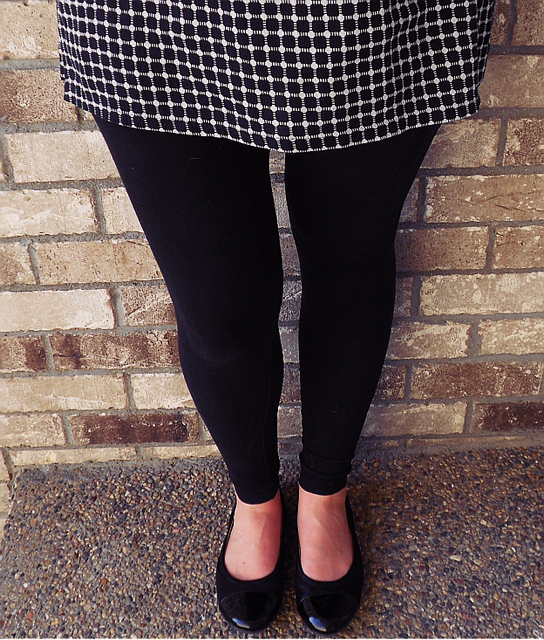 I ended up wearing a Piko top with some jeggings. 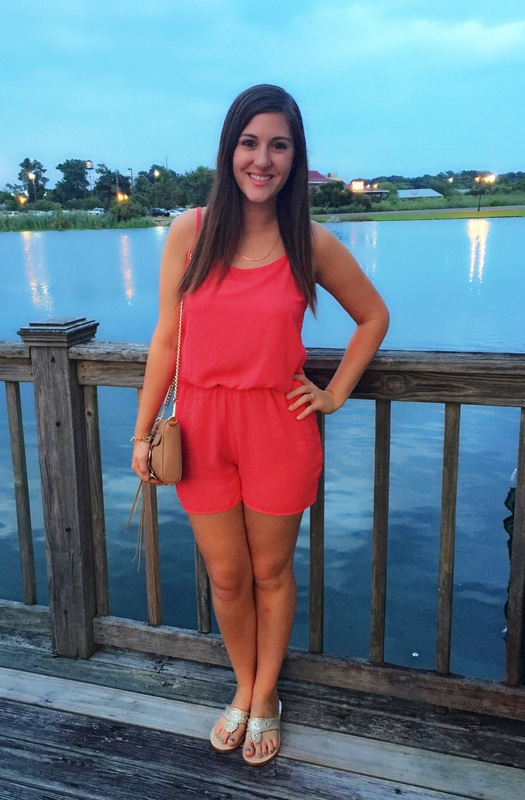 I absolutely love piko tops because they are so comfortable and you can dress them up or down!